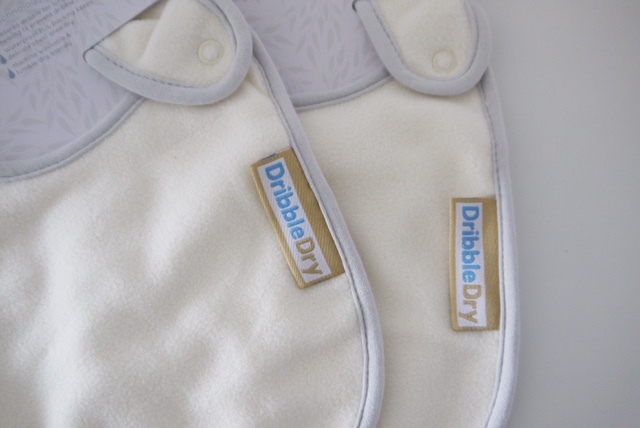 For the last 3 months all we have had is dribble dribble....so yes all babies dribble but we have the extreme dribble problem. By extreme I mean we are having to change 12-15 bibs a day (Yes a day) because it would just simply soak through to her sleepsuit then vest top which means a change of clothes which can be a bit of a pain if you are constantly changing. I keep an eye on it soon as I feel it's about to soak through I would change the bib immediately and throw that used one in the laundry basket. Baby laundry isn't really that bad but if you are going through at least 15 a day and you only have 30 bibs then you need to do laundry at least every other day or every 2 days...needless to say the tumble dryer is absolutely amazing and I cannot live without it. In fact I don't know how I would manage without it...where would I find the space to hang 15 bibs in the apartment along with rest of the washing! So with this problem I was thinking we can't be the only ones with this problem and there must be products on the market to help us. 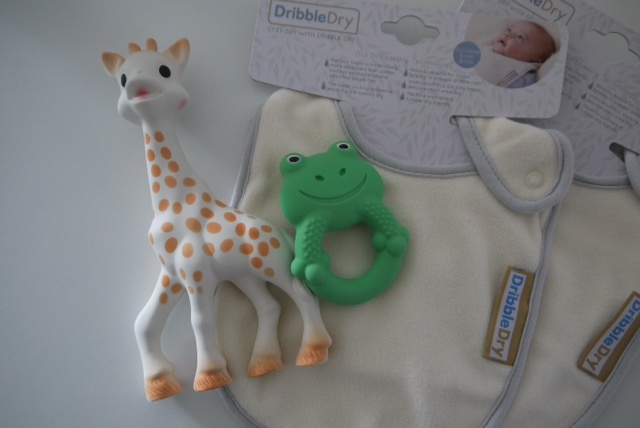 I came across *DribbleDry on instagram having done various different searches #bibs so I was very excited to give it a try. Not only did we have the dribble problem when the bib gets wet and rubs against the neck and chest area you also end up getting sore red patches...even sudo couldn't help get rid of it so I was definitely up for trying anything. I was kindly offered 2 bibs to try and soon as I tried them I ordered and extra one myself on amazon. So why are these bibs so good well firstly they are designed to absorb dribble for longer and when they say longer it definitely lasts a lot lot longer. 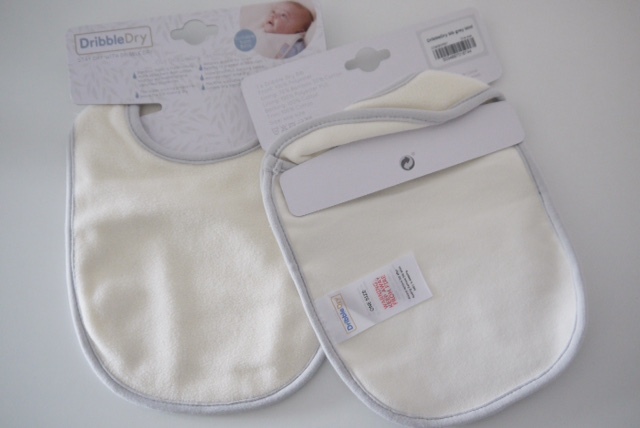 Soon as I started using these bibs I managed to cut down to using around 4 bibs a day not including my 3 DribbleDry bib which is a massive improvement compared to the usual 15 we get through a day. Less bibs = less laundry! 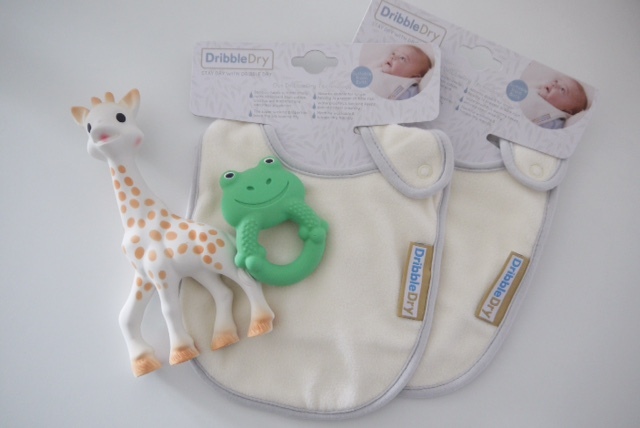 The bibs have this superb wicking properties so the bib stays looking dry and it's made out of bamboo fabric which is much more absorbent than cotton and it helps minimise dribble rash which is what we were getting. She is also loving Sophie La Giraffe there is something about those ears that make her chew non stop and some days it can keep her busy for a whole hour. Her second favourite chew is this MAM frog teether which is nice and soft with bumpy bits for that extra soothing. For now these 3 items are my essentials for Nicole. I am sure as we progress further into the teething stage more useful items will be popping up. As we start to wean I am hoping we can drop the bib or at least go through even less a day.